If you ate too much this Thanksgiving, don’t beat yourself up! 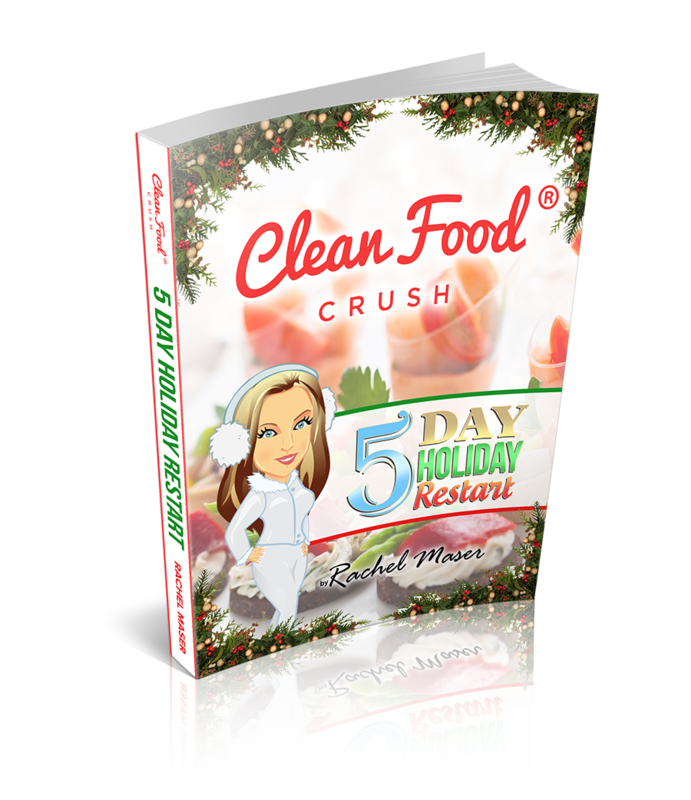 The holidays are usually a time where family and friends get together and eat. Clean Eating isn’t about perfection, it’s about finding balance. 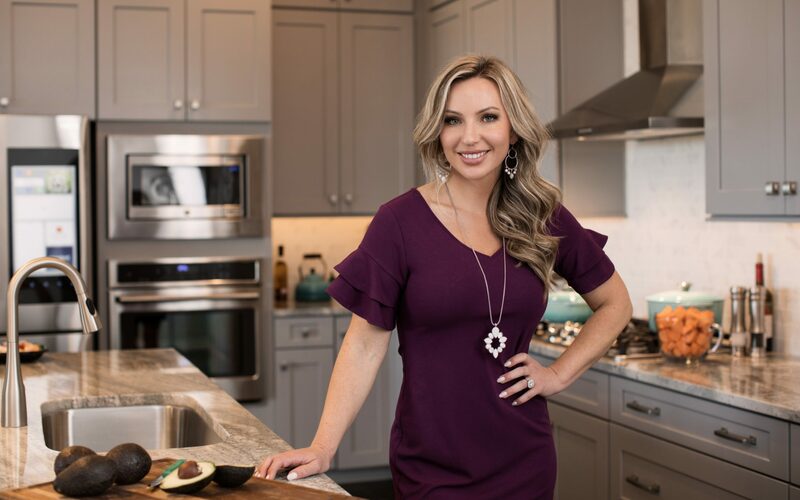 You don’t have to completely avoid anything that doesn’t make the list of Clean Eating approved options, just do your best not to over-indulge. That slice of pie your Grannie has been making since you were a kid? Enjoy it, and then make the rest of your food choices CLEAN options. If it’s appropriate, you can ask to bring a shareable dish that fits within your Clean Eating lifestyle! Choose something you love that will introduce others to how enjoyable a healthy lifestyle can be. People usually learn best through their own experience when there isn’t any pressure. So be sure to give others at the table the freedom to eat what they want, and simply contribute one more thing for them to choose from. You don’t even need to tell them it’s a “healthy” dish! 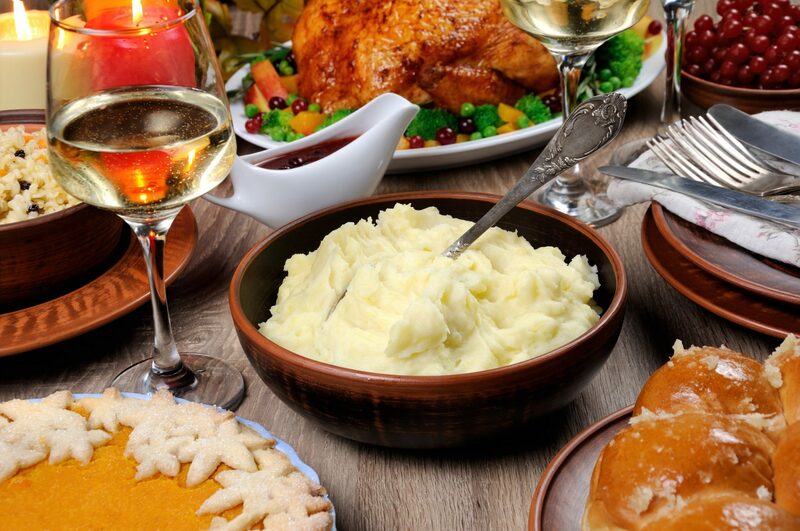 If the main meal isn’t the right place to contribute something (maybe a family member put in a ton of effort), then bring a dessert you can enjoy and share instead. 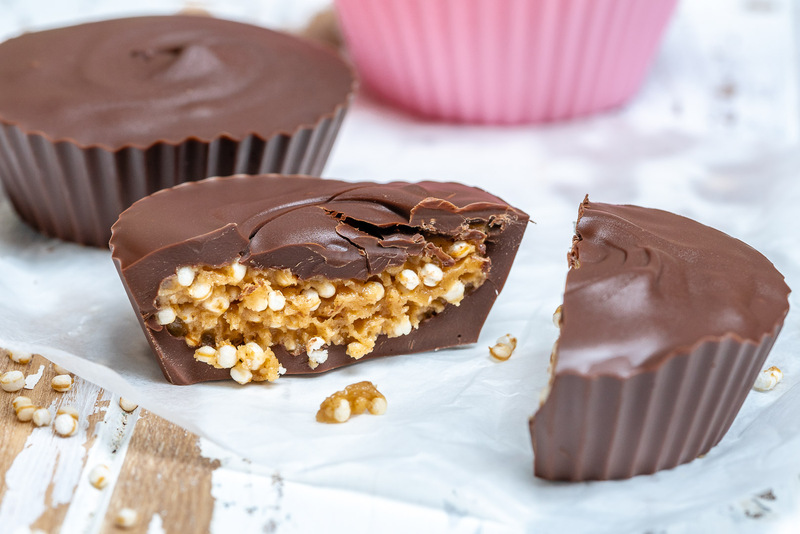 Try these Chocolate Peanut Butter Crispy Treats! This Chocolate Pumpkin Spice Zucchini Bread is also a big hit! Eating sauerkraut at the end of a meal can support digestion and help fight sugar cravings. Sauerkraut is a natural probiotic, balancing your gut bacteria. Just 1-3 tablespoons is enough! Find some at your local grocery store or health food store. Saurkraut with fennel seeds is an extra digestive friendly option. If you have a family dinner coming up where you know you can’t avoid eating a heavier meal, get prepared! It’s ok to enjoy yourself once in a while, just set yourself up to reset the next day. 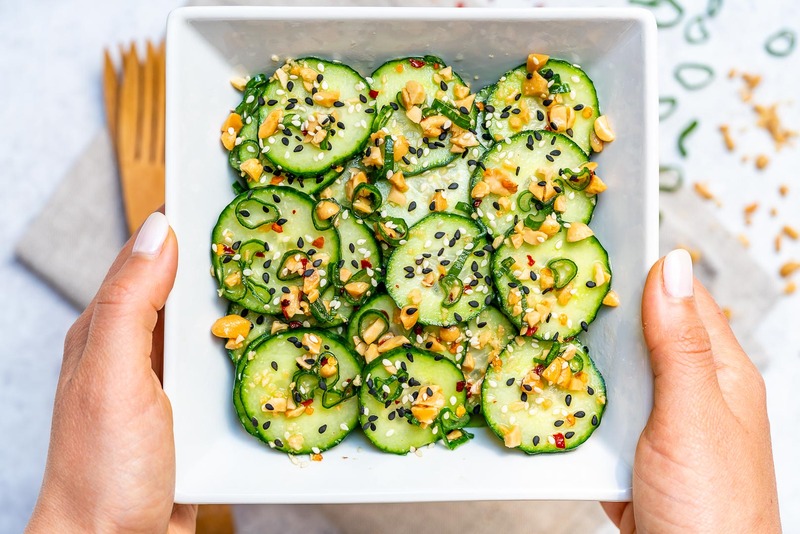 I LOVE simple, water weight reducing cucumber salads. Prep a salad that you can store in your fridge overnight for the next day and be sure to hydrate and eat lighter as you reset your system. 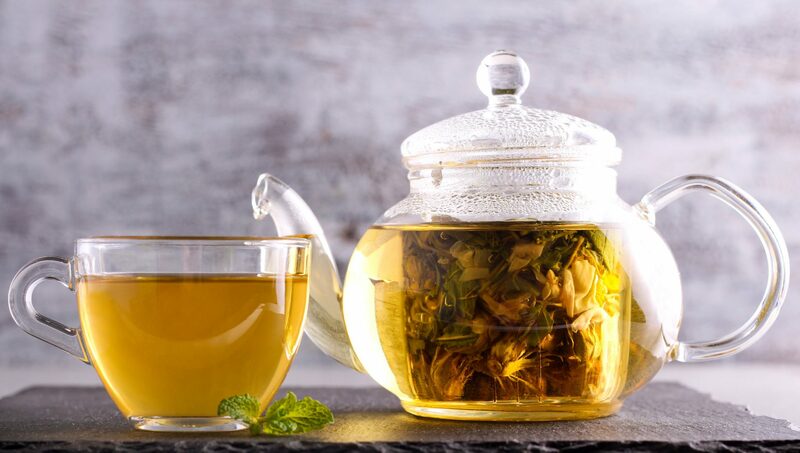 Fennel and Ginger are wonderful digestive aids that you can easily prepare in a tea to help reduce bloating, lower inflammation and soothe your belly. Bring to a boil and then slowly simmer for 15-20 minutes. Enjoy a cup with an optional small spoonful of honey! Hydrating after a heavy meal is important. You can plan ahead by preparing 2 liters of lemon and cucumber water and storing it in your fridge. 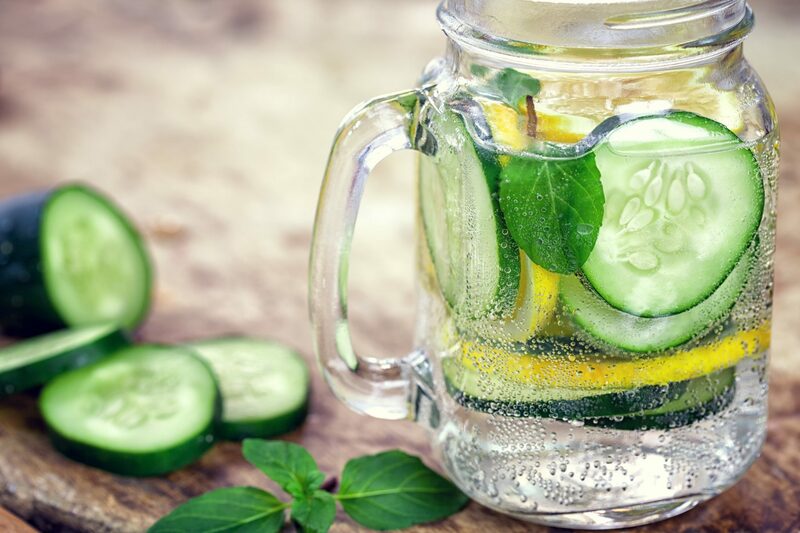 If you’re feeling heavy or bloated, drink this lemon and cucumber water mixture for the entire day and avoid dehydrating beverages like soda, limiting coffee to 1-2 cups per day with just a splash of almond milk and stevia. Have you ever noticed that after a workout you crave fresh food? I do! We produce all sorts of happy chemicals and endorphins when we get our blood pumping, which in turn reduces our drive to eat for comfort or emotional reasons. After you workout, even if it’s just a brisk walk for 30 minutes, sit in the sauna for 20 minutes and finish with a cool or cold shower. This process known as hot/cold therapy is shown to help reduce inflammation, burn fat, and lower stress levels! Clean Eating is not a religion! You don’t have to be perfect, convert your entire family to this lifestyle or avoid family dinners. This is about learning how to have a healthy relationship with food, find balance within yourself, and feel better. If you aren’t perfect, that means you’re human – so don’t beat yourself up over little indulgences here and there. Being prepared is EVERYTHING though, so make sure to get yourself the support you need to win. 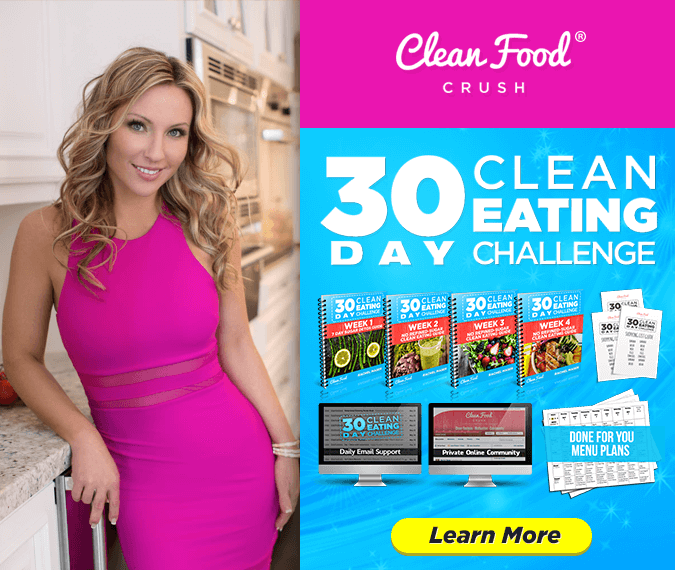 If you feel like you want that extra support and accountability over the holidays, I’m giving away a 5- Day Holiday Reset as a BONUS when you sign up for the 30 Day Clean Eating Challenge!